The above scripture speaks of a coming time when there will be an enormous harvest and time of fruitfulness. Spring is in the air—the trees are budding, flowers blooming, birds are singing and the days getting longer. A spiritual Spring is also breaking out in our county. For years we’ve been praying for unity and revival and we’re beginning to experience serious movement in that direction. Let me share a few things to illustrate this. Eagles Nest: Identifying Redemptive Gifts of Cities On March 2-3 our Eagles Nest group in Ojai organized a seminar to help us identify the redemptive gifts of our cities. Karen Vercruse from Chico was our presenter/facilitator. She’s been involved in significant city-reaching/reconciliation efforts across the USA and internationally. This teaching, based in deep historical research into each city/area, helps us strategize in prayer, reconciliation and outreach to more effectively heal our wounds and reach our cities with the Gospel. Love Israel: Prayer for Israel and the Jewish Diaspora On March 5th we helped Liliana McDermott of Jacob’s ladder, a Messianic Congregation in Ventura, launch a monthly prayer gathering for Israel. In light of growing anti-Semitism and the increasing pressure on Israel from surrounding nations and the rest of the world the timing couldn’t be more crucial. This gathering are take place the first Monday of each month @ Jacob’s Ladder, Ventura. Chumash Reconciliation Gathering: On Saturday March 10th we had a wonderful day in Saticoy (Ventura, CA), originally a Chumash village, meeting with a number of Chumash people from our county. Julie Tumamait-Stenslie, the Lead Tribal Elder, addressed a group of approximately 35 Pastors, Leaders & Intercessors from VC about the history and current challenges of the Chumash Community. We took time to protocol/gift Julie and her cousin Eleanor Arellanes, a wonderful Spirit-led believer, who helped open this door for us. We were joined by RainSong, (Terry & Darlene Wildman, First Nations Music & Storytelling) from Arizona and Red Spirit Ministry from Long Beach who presented Native American music and stories as well as assisting in our protocol of the Chumash. Pastor Rex Holt, Conejo Church in Newberry Park, hosted us along with a team who are getting ready to launch a new Church plant in Saticoy. It was their first “official” meeting at that location and they felt it laid a significant foundation for the vision of this new church. After fellowship over a delicious Mexican lunch many of us went to a nearby 6 acre property, recently given to the Chumash, to pray over and bless the land. Greg, the caretaker of the land, had put together a circle of rocks with four entries in the cardinal directions and a pattern in the center that very much resembled a Star of David. The point was to enter the site in a respectful and honoring way. Greg says he has a vision of seeing the land developed and used for ministry. Please pray for our ongoing contact with the Chumash Community in Ventura County! Simi Valley City-Wide Prayer Awakening: I’m one of the founders and members of the Simi Valley Praying Pastors. The SVPP has been meeting from 12-1 PM every Wednesday for over 15 years sharing & praying for each other, our city and churches . A fresh wind has begun to blow and we feel encouraged in our process of unifying the church to pray and work for an outpouring of God’s Spirit of Love & Grace in our City, County, State & Country. At the beginning of the year I shared my desire to see concentrated, collective, unified prayer with the Pastors and there was a very affirmative response. We had planned to begin this Prayer Initiative on Sunday, April 1st (Palm Sunday) but due to another important event that same night we’ve decided to postpone it until Sunday, May 6th. We’ll be meeting from 7-9 PM the 1st Sunday of each month and will begin at Church of the Living Christ but also plan to meet at other Churches in Simi Valley over time. Pastor Steve Pope and I have been meeting together to be sure we have the right focus and purpose for these upcoming prayer gatherings. We’re praying that we’ll have the favor of God and the other Pastors/Churches in Simi Valley. Please keep us in your prayers! 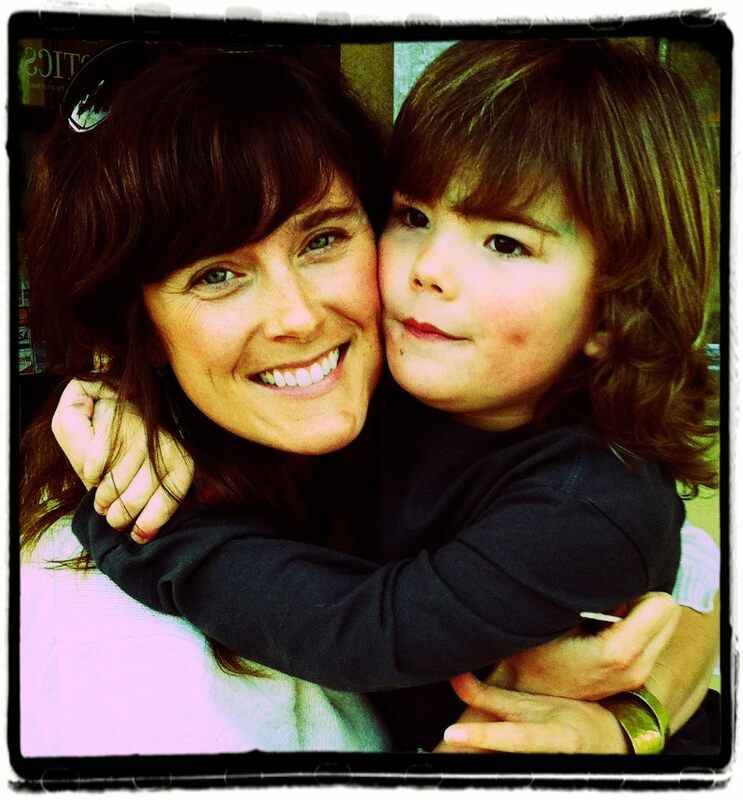 Family Update: Kai turns 4 next week so I’ll be heading to San Diego this weekend to be with him and Rachelle and celebrate this milestone in his life. He’s a very big boy, like his daddy, but is also very sweet and loves his Opa (Dutch for grandpa). We always enjoy our times together which seem to fly by. It’s the first time I’ve seen them since Christmas when we were all able to be together—Rus flew down from Portland for a few days to be with us in San Diego. It had been over 2 years since I had seen him. Financial Update: I have always found it a bit difficult to talk about money. We all get so many letters and requests and we’re all faced with the same financial challenges. We’re also all poignantly aware of the rising cost of living—especially “Gas Prices” at the moment. I stepped away from my job at KL Megla-America and back into full-time ministry about 2 years ago and began to live by faith and on monthly support again—the partnership of family, friends and churches. God has been very faithful in providing for my needs and travel/ministry expenses. I try to live as simply and frugally as I can. Recently my support has dropped some just as expenses are increasing. I’m spending a lot of time in the car driving to meetings all over Southern California and find myself all too frequently at Costco filling up—again, at about $75 a pop. I share this primarily for prayer. Many of you are already partners in this ministry and have been faithful and generous in your support. I would value your prayers for me and the IRC North America. God is opening some amazing doors of ministry and I need His help and your prayers and partnership to be able to complete what he has called and gifted me to do. Thank you for standing with me at this time. I have the privilege of working with wonderful, amazing, gifted and dedicated people, here and around the world. My passion is to network God’s people into communities of prayer, reconciliation and service that will transform our cities, state and nations. May He receive Glory through our lives and ministry to him. I’m praying that you too will experience a Spring Season in your life and ministry! Posted on March 23, 2012, in Uncategorized. Bookmark the permalink. 3 Comments. 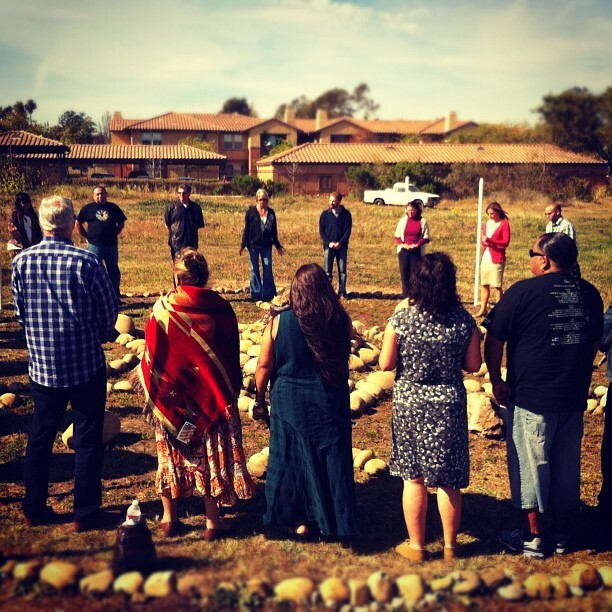 We were privileged to be part of the Chumash gathering. This is a good beginning to what could be lasting relationships between the Churches and the Chumash community. Blessed are the peacemakers! Thank you Ron for inviting us to be a part of this. Terry, Your contribution really added much value and depth to the whole weekend! Thanks!